Cheyenne Lavene is a singer/songwriter from New Jersey. She discovered a love for music at a very young age. Cheyenne sing her very first solo at the age of 12 in a school play. From then on, she would sing at local events throughout the city of Camden to further pursue her craft. Cheyenne attributes her ability to arrange songs and incorporate harmonies effortlessly to school choruses, in which she was part of from kindergarten to college. Cheyenne has been to several rounds of auditions for shows including an audition next to Jazmine Sullivan at the age of eleven for a spot on Apollo Kids. She also had the opportunity to sing in the background chorus for Mariah Carey during her 'Adventures of Mimi' tour in Philadelphia. 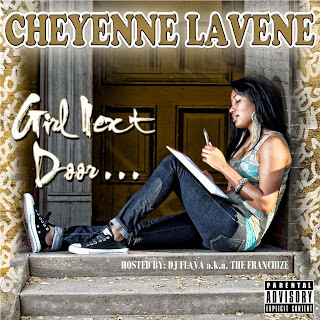 In January of this year, Cheyenne released her debut mixtape entitled ‘Girl Next Door’, hosted by DJ Flava aka The Franchize of iPower 92.1. Hip-hop producer Kleph Dollaz of the Control Freaks provided production on the project, which utilizes genres ranging from soul and r&b to hip-hop. ‘Girl Next Door’ is available on iTunes, Amazon, and Bandcamp. For hard-copies, contact girlnextdoorcd@gmail.com. Cheyenne Lavene is currently working on an EP, which is set for a summer release. 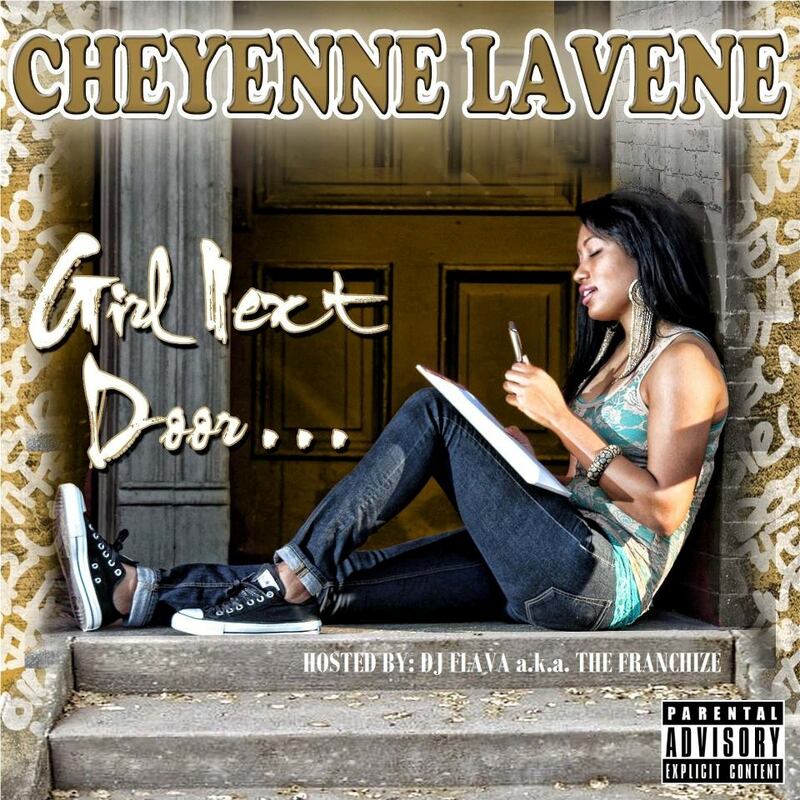 For performance or song-writing inquiries, contact Cheyenne Lavene at cheyennelavene@gmail.com. Cheyenne I go by the name of Cheyenne Lavene and I rep Jersey to the fullest. The DMV is like a 2nd home to me though. So I give that love too. Cheyenne I have always been involved in music. It wasn’t until a couple of years ago that I decided to pursue it whole-heartedly. Cheyenne I would consider my main style to be classic r&b/soul. I feel that a great artist has no boundaries, and so one of my attributes is being open to trying new and unusual styles when it comes to singing/songwriting. Cheyenne I would have to say the release of my latest project, ‘Girl Next Door’. With it being my first full project, I was able to experience just a taste of what true independent artistry is all about. Cheyenne It seems as if there are more artists than fans. The challenge is being able to stand out among the crowd, and get people to actually see and believe in your talent. Cheyenne Ryan Leslie! I always seem to forget about him when I’m asked this question, but he obviously needs no explanation. I feel as if he loves testing limits creatively and is extremely talented as a musician, producer, and artist. Cheyenne If I were to be ranked with any top artists of today, I know that I could battle with the best of them. I am surrounded by raw, all out honest individuals both in and out of the music scene. 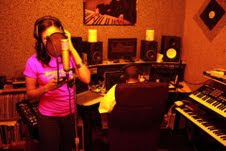 I am a firm believer in myself as an artist, and to have them co-sign further lets me know that the talent is there. Cheyenne I am currently working on a summer EP with producer Kleph Dollaz. We will be dropping a single from the project within the next month, followed by an official video. I also have a few song-writing projects lined up as well. Cheyenne Prepare to feel alone at times & don’t ever stop. Cheyenne For one, I want to bring back good old fashion singing and artistry. I feel at one point in time, you could expect for mainstream artists to actually be able to sing, rap, etc., and have something meaningful to say. Now, everything just appears to be a gimmick. Cheyenne I would be somewhere creating it! Cheyenne So many! I am always inspired by my mother. She is a beautiful, successful, & independent woman. Influences have been Phyllis Hyman, Celine Dion, Whitney Houston and more currently, Chrisette Michele & Melanie Fiona. I love the fact that these women possess[ed] raw talent without having to change drastically for people to realize it. 3375 What do you think of the “R&B and Soul” music world right now? Cheyenne I think that because of today’s necessity of a certain ‘image’, the r&b/soul world is missing out on so much talent. Cheyenne There is a special someone at the moment, but I’ll be sure to let y’all know if he doesn’t act right! Cheyenne More of thanks…to God, family, friends, and all supporters!